Posted on December 10th, 2018. Over the years I’ve seen a trend that tenanted properties appear to be damper than those that are owner-occupied? Firstly, we’re talking about condensation here, not rising damp. This is caused when warm air, which holds more water vapour, meets a cold surface, forming water droplets. This may attract fungal growths such as Mildew leading to that “that damp smell”. It’s often said that tenants may not be as house-proud as owner-occupiers (although this is changing). As such, they might not spend so much time at home, meaning that less air circulates around the property, and they may not be quite so inclined to seek out the reason for any dampness and fix it. After all, it’s not their property. Older properties without cavity wall-insulation may have colder walls and are therefore more prone to dampness. More modern or newly built homes may be so well insulated that there is insufficient ventilation, thus arriving at the same problem. 1. Ensure the property is evenly heated and ask your tenant to ensure that the heating remains on a warm constant, rather than hot and cold, especially in the winter. 2. Maintain heating in all rooms, even if unoccupied. 3. 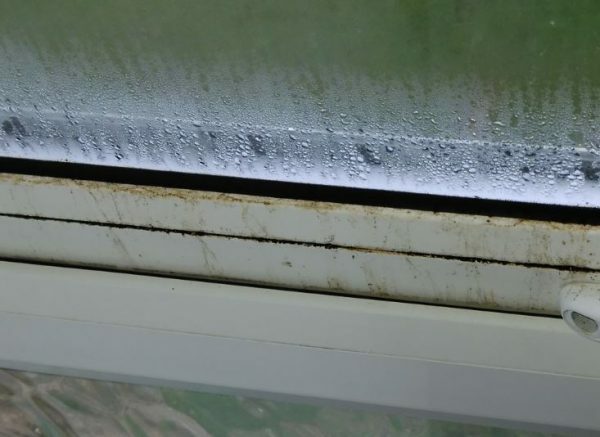 Keep windows open whilst the home is occupied – this keeps air circulating and helps prevent mould and mildew growing as the air draws out any moisture in the room. 4. Ask tenants to open a window if they are drying clothes indoors. 6. Use freestanding furniture rather than built in cupboards unless they are well ventilated, ideally from the rear. 7. Ensure there is adequate ventilation in areas of high moisture build-up and temperature differentials such as kitchen and bathroom. Windows and doors to remain open when these areas are in use. 9. Install “trickle vents” in windows and make sure they remain open – even in winter. 10. Wipe away any mould and condensation that builds up on windows with a clean dry cloth. Simple, natural products, like white vinegar that is highly acidic are great for killing off mould spores. As you might have guessed, as managing agents, we have a keen eye, and nose, for damp. If you have a home that requires management, call us on 020 8366 9777 to speak with our team to see how we can help.